Detailing the service of the first U.S. female soldiers, The Hello Girls takes place during WWI. It follows the tale of over 200 women who helped win the war by traveling overseas to operate the most advanced communication technology at the time: the switchboard. But their battle did not end there. When they returned stateside, it would take 60 long years before the government would grant them the status and honor of being recognized as veterans. It is her passion for history and creativity that makes Elizabeth uniquely qualified to write The Hello Girls. 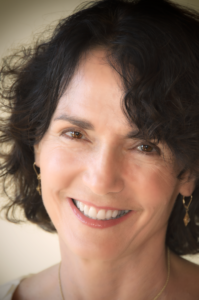 Writing since the age of 15, Elizabeth has received several awards for her work including the San Diego Book Award and Director’s Mention, Langum Prize in American Historical Fiction. As a historian, Elizabeth has served in a range of roles from serving on the jury for the Pulitzer Prize in History to serving two terms on the Historical Advisory Committee of the U.S. State Department to teaching at the University of San Diego. 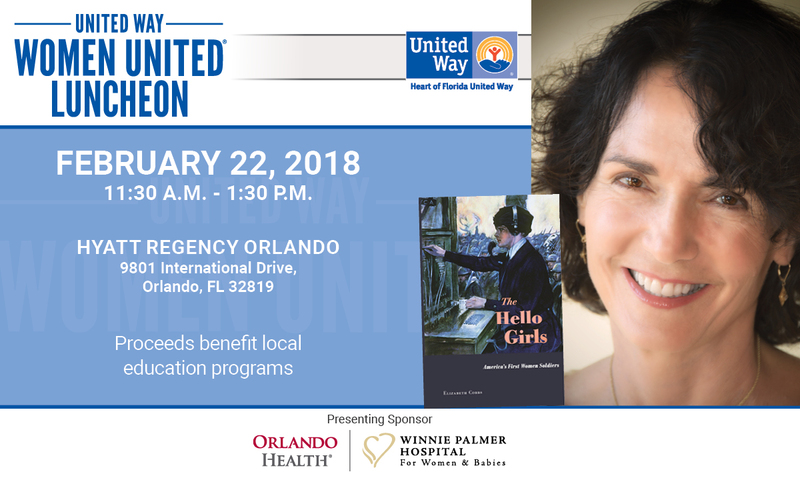 Besides hearing Dr. Elizabeth Cobbs as the featured speaker, the Women United Luncheon is a chance to network with 1,000 of Central Florida’s most prominent and influential female leaders. We invite you to join us on February 22, 2018 at the Hyatt Regency for the 11th annual Women United Luncheon! Tickets are available for purchase at UWWomenUnited.org and all proceeds will benefit the Women United’s education and literacy initiatives. For information about sponsorship and corporate tables, please contact WomenUnited@HFUW.org.